Since 1979, Friends’ policy and planning initiatives have driven critical water quality improvements throughout the Chicago River watershed. River advocacy remains a key component of Friends' public policy and planning efforts, as river supporters provide a "voice" for the people, plants and animals that depend on it. Visit Friends' "Get Involved" page to find out how you can make a difference, and "Who to call?" to take immediate action about river pollution. Learn more about Friends' work in policy, planning, and on-the-ground projects below. Friends has played an integral role in advancing watershed-wide policies for stormwater management, water quality and invasive species. 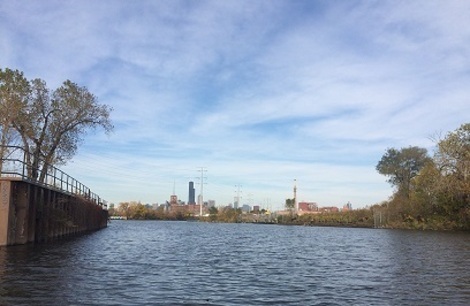 What will the Chicago River look like tomorrow? Friends' planning initiatives help policy-makers think big about land use and freshwater resources. Since 1979, Friends has turned policy ideas into actions. These initiatives have gone a long way towards improving the Chicago River for people, plants and animals.